Centro Condo Spacious One Bedroom Suite Located In The Heart Of Scarborough Town Centre. Functional Layout With Balcony. Short Walking Distance To Scarborough Town Centre, Supermarket, Civic Centre, Ymca, Mccowan Subway, Greyhound, Go Bus Station. 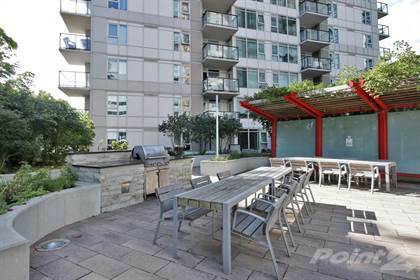 Building Amenities Include Swimming Pool, Gym, Bbq Area, And Party Room.\r\rExtras: Existing Stove, Range Hood, Fridge, Dishwasher, Washer/Dryer, Wine Fridge, Window Blinds And All Electric Light Fixtures. Hi, I'd like to find out more information about 25 Town Centre Crt. Thanks so much!